CloudFlare - What is it and what does it do? What’s CloudFlare? Simply put, CloudFlare is an efficient way to optimize your website’s performance. CloudFlare is an optimization technology that utilizes multiple techniques to allow you to optimize the performance of your website in ways that would normally require a lot of administration and oversight. CloudFlare will speed up your website’s loading time, increase its security and efficiency, and improve its overall performance. CloudFlare works by acting as a reverse proxy, which means that once your website is part of CloudFlare, the traffic it receives is routed through the CloudFlare intelligent global network. While it’s being routed through the network, it will filter and inspect all of the traffic to your website, looking for unwanted traffic, malicious requests, and other types of requests which drain the available resources on your server. There are several ways that CloudFlare will help make your website faster. One of these ways is by caching all of the static content on your website and then distributing this content throughout the entire CloudFlare network. There are data centers all around the world – in twelve locations, with more locations planned in the coming months – that are in use by CloudFlare, helping to make sure that your content is served as quickly as possible. Your content is also compressed as it is retrieved from the CloudFlare network, making it even faster still. Additionally, by filtering the unwanted traffic to your website – such as from web bots – your server will only be serving content to the users that require it, cutting down on server load and increasing delivery time. Some other features of CloudFlare that will help optimize your web site are the Rocket Loader, browser optimization, and aggressive GZIP. The Rocket Loader will help to make sure that third-party resources don’t slow down the page, while browser optimization within CloudFlare will automatically adjust all of the content depending on the device that is being used to access the website. CloudFlare’s use of aggressive GZIP will help to reduce the size of the content being delivered, so that content reaches your website’s visitors a lot faster. Cutting your website’s content size in half will make your web site load twice as fast as it currently does. So, what are some of the benefits and why should you use CloudFlare? Websites that are part of the CloudFlare global network load up to two times faster than normal, utilizing 60% less bandwidth and cutting insignificant traffic by up to 65%. By decreasing the load time for your website, you can improve your search engine rankings and allow your visitors to enjoy their stay; which will also have them coming back. CloudFlare, however, is not suitable for web sites that stream audio or video. This is because the content is coming directly from the web server and cannot be cached on the CloudFlare global network in the same way that static content can be cached. Embedded videos on your website, however, such as from YouTube and Vimeo, are compatible with CloudFlare. CloudFlare is incredibly easy to use through HostPapa web hosting. All you need to do to use CloudFlare with HostPapa is login to your HostPapa cPanel account and click on the icon for CloudFlare. Once there, you’ll be able to read more about CloudFlare, setup your CloudFlare account, modify your settings and security, and configure how it will work with your website. 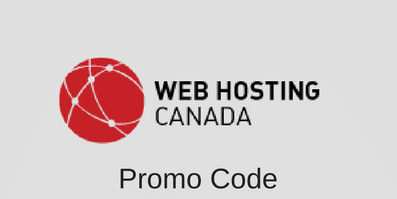 HostPapa is a CloudFlare partner and offers the basic CloudFlare service free of charge. This entry was posted in Guides on August 20, 2012 by WHR.